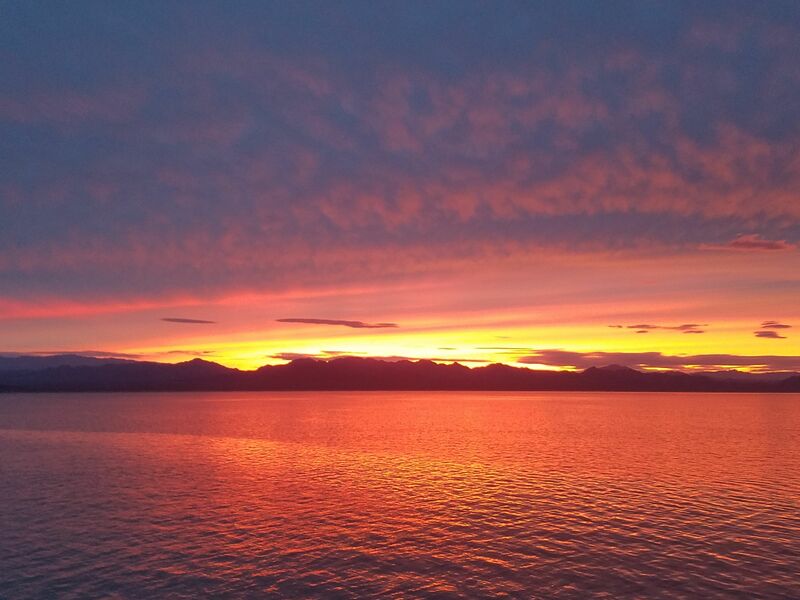 Baja California Sunset. Copyright: Greg Joder. 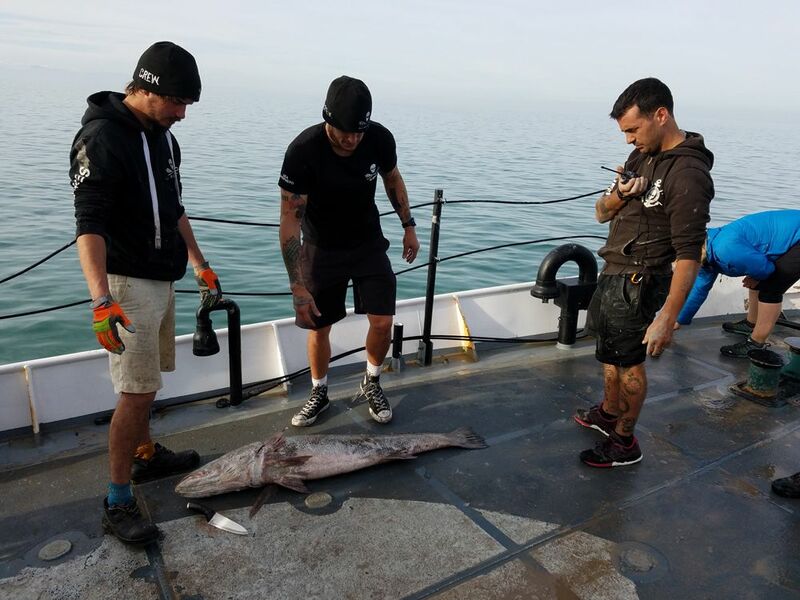 Since my last blog I have come to Mexico to join Sea Shepherd’s Operation Milagr0, the on-going campaign to remove illegal gill nets set to capture the endangered totoaba. The swim bladders of the totoaba are said to be medicinal and sold in China for many thousands of dollars per kilogram. These same nets catch and drown the vaquita, a critically endangered harbor porpoise endemic to the northern Gulf of California with an estimated population of less than 20. Sea Shepherd is working in cooperation with the Mexican government to stop the poachers and give the vaquita and totoaba a fighting chance. During the first week of January I joined the Sea Shepherd Conservation Society’s (SSCS) Operation Milagro in the Sea of Cortez. Operation Milagro targets poachers who illegally set gill nets to catch totoaba, an endangered sea bass. 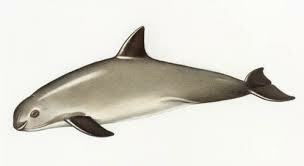 In doing so a highly endangered porpoise, the vaquita, is often caught and drowned in the gill nets. The most recent population estimates for the vaquita place the number well below 100 individuals. The number of totoaba remaining is unknown. Our mission is to find the gill nets, pull them from the sea, destroy them and then hand them over to Mexican authorities. Dead Totoaba pulled from an illegal net. Copyright: Greg Joder/Sea Shepherd. Why do the local fishermen target the totoaba? Its swim bladder has purported medicinal and virility enhancement value and is sold for great profit in China. I am working on the SSCS ship named the Farley Mowat, named after the author who wrote Never Cry Wolf among other works. My primary role on the Farley is “drone pilot” and I am responsible for catching all the action from an aerial perspective not otherwise possible from the ship or a small rigid inflatable boat (RIB). My second role is that of deck crew. In this position I assist the other crew in taking aboard the illegal nets once we find them. This is difficult, back-breaking work as the nets are hundreds of meters long and are set in the shallow, current-filled northern Sea of Cortez waters by anchors that weigh nearly 150 lbs. 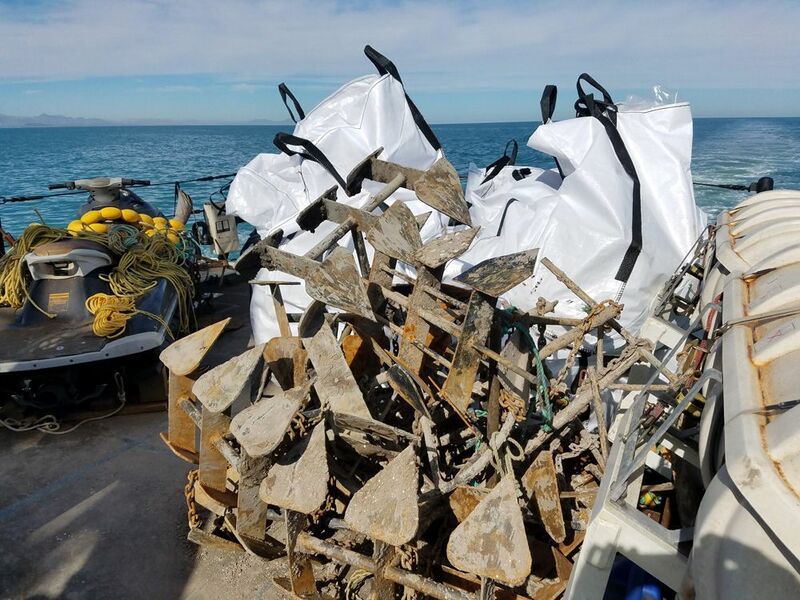 The anchors and bagged nets recovered in the span of two nights in the vaquita refuge. Copyright Greg Joder/Sea Shepherd. During my first few weeks aboard the ship we have found and destroyed over twenty illegal nets and the totoaba season is just beginning. We find the submerged nets by towing a “ray” behind the ship. The ray trails a grappling hook and is designed to skim along below the waters surface and snag the net. Once a net is snagged, a line purposely snaps and the ray and a set of marker buoys is let go into the sea. In this way we can turn the ship around and relocate the buoys, and thus the net. 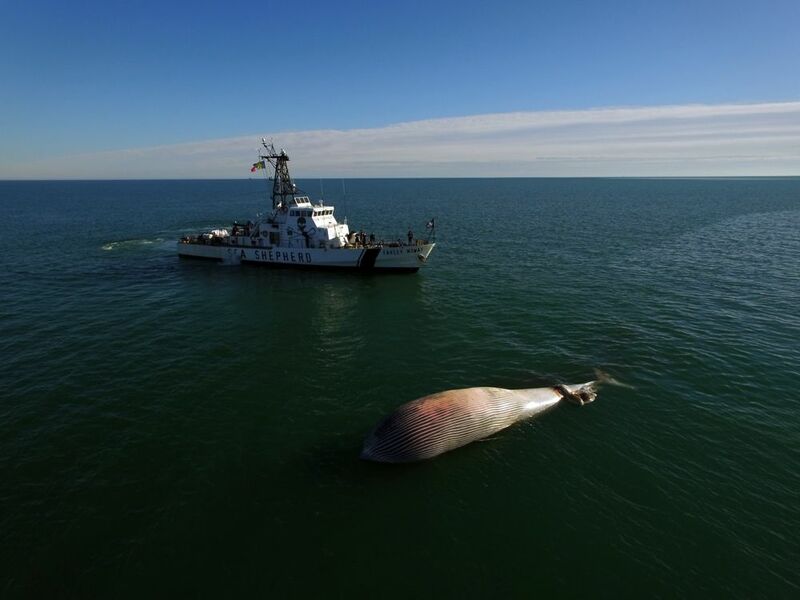 The Farley Mowat crew investigates a dead whale, looking for signs of entanglement. Copyright: Greg Joder/Sea Shepherd.